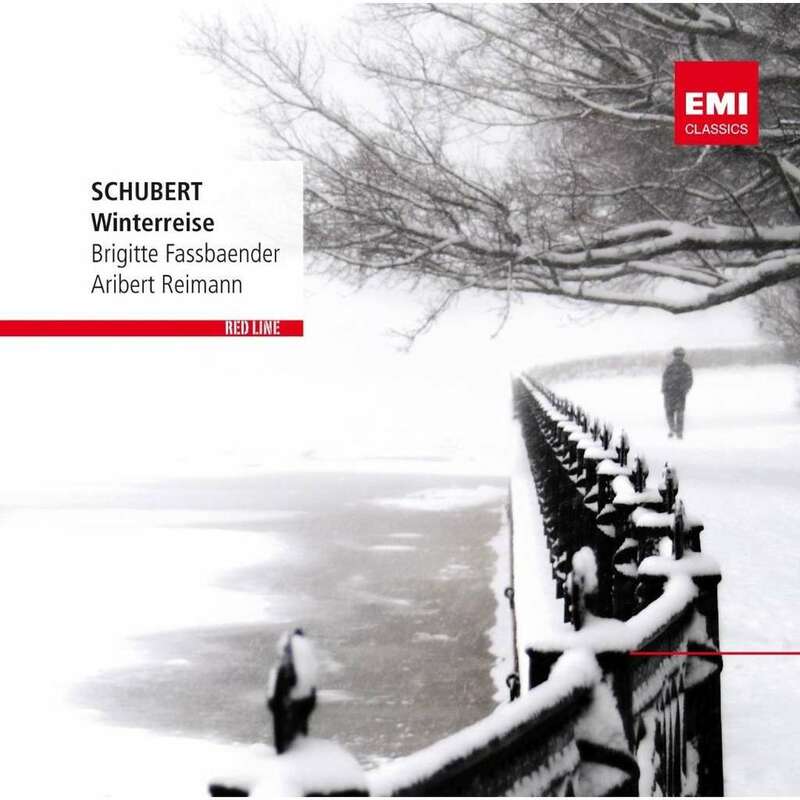 If any song cycle is associated with a male protagonist, it's Schubert's Winterreise, so a female singer may take some getting used to. Other women have recorded it--versions by Lotte Lehman in her later years and Christa Ludwig are of interest--but Brigitte Fassbaender's is special, worthy of inclusion among the finest available, regardless of gender. She recorded this Winterreise in 1988, her 50th year, and the voice isn't as fresh as it once was. There are occasional vocal flaws here that will bother perfectionists--unsupported passages in the middle and lower registers, upward slides that come close to crooning, and phrasing in places such as the second stanza of "Frühlingstraum" that approach Sprechstimme. 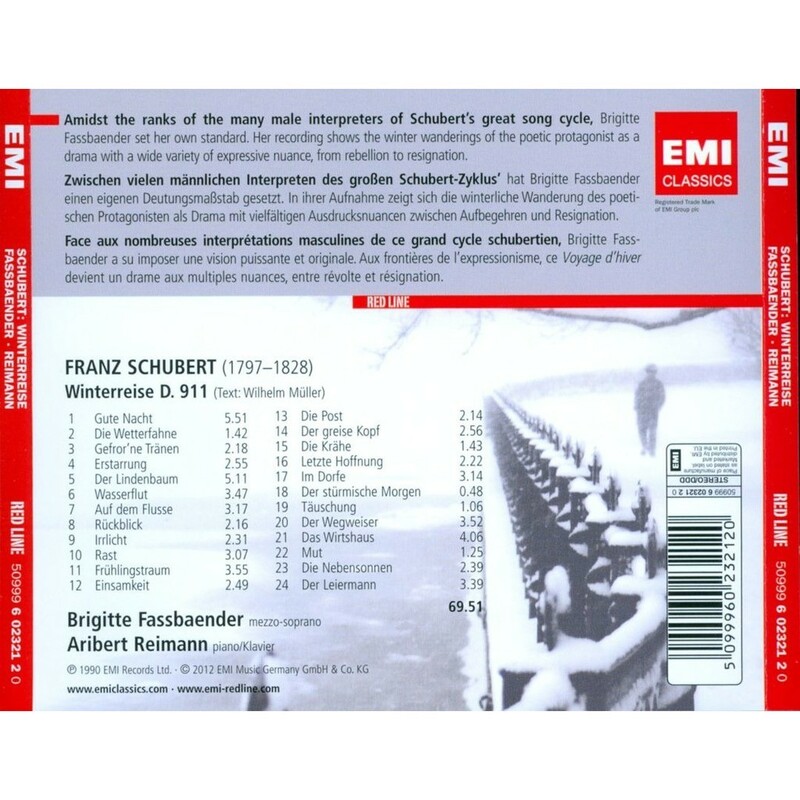 But if you value passion and intensity in Winterreise, such observations will be easily ignored because Fassbaender reaches deep into these 24 songs with overwhelming emotional power. She captures the desperation of the thwarted lover/wanderer as have few other recorded versions. Winterreise is an inescapably bleak experience in any performance, but Fassbaender makes this winter's journey a harrowing descent into Hell. There's no "pretty" singing here--her voice almost flies out of control at the end of "Gefrorne Tränen", sounds near tears in the afore-mentioned "Frühlingstraum", and is completely drained of color when singing of the grave at the end of "Irrlicht". Similar instances can be multiplied many times over during the course of the cycle. Each song throbs with desperation; each is a mini-drama of emotional turmoil. Fassbaender's is a relatively fast Winterreise, more than five minutes faster than my favorite version, the 1955 Hans Hotter EMI recording. But only in the final song, "Der Leiermann", did I feel a deficiency in intensity; there, the singer seems to be observing from the outside rather than embodying the inner depths of the lost soul narrating the text. Perhaps that's because of all the Winterreise songs, it's the one where many singers tend to a sentimentality alien to the cycle and to Fassbaender's Expressionist interpretive approach. Lest this description of her performance induce thoughts that it's over the top, it's not. For excess, go to Jon Vickers' live concert Winterreise on VAI, the only one I know that surpasses Fassbaender in unbridled intensity--but it's too indulgently individual for most people. Fassbaender's accompanist is composer/pianist Aribert Reimann, whose staccato jabbings and dynamic playing match the singer's approach. Voice/piano balances are fine, the engineering typical late-1980s digital but missing the roundness of Fassbaender's mezzo. Schubert knew madness. He knew it to the depths of his soul and feared it. And out of his fear he wrote the greatest monument to love lost, to death lost, to madness found. He wrote Die Winterreise, the most hopeless art work ever conceived by the despairing mind of man. Speaking of madness, is Brigitte Fassbaender nuts? A woman singing Winterreise? Although it could be argued that women are capable of experiencing the emotions of Schubert's cycle, a woman interpreting those oh-so-macho emotions is hard for most men to believe. "Nevertheless," as Galileo said, "it moves." "Can a woman interpret those emotions?" is an absurd question. Lotte Lehmann did so, and did so superbly more than 50 years ago. But, to answer the question "is Brigitte Fassbaender nuts?" the answer is "yeah, d'you've a problem with that?" After all, aside from the singer's gender and other pointless concerns, what's the most important psychological characteristic a human being needs to sing Winterreise? He/she has to be crazy or at least act the part. Fassbaender may not be crazy, but she can act. More to the point, she can act and sing and thereby convince, no, compel belief in her audience. Fassbaender's is one of the great Winterreises.